It can happen that a promoter or venue has a different postal address or legal address that you need to use on a contract or invoice. 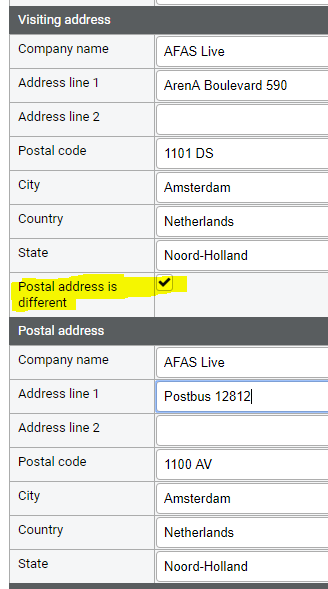 Select the checkbox "Postal address is different". Add the postal address and select Save. This way you can register 2 addresses with one company. If a different Postal address is registered, this address is used in documents, such as quotes, contracts and invoices.